I wanted a rice dish to go with my Mughal gosht dopiaza and saag paneer. Looking for Mughal rice dishes, the ones I found all seemed to be modern recipes that included tomatoes. Tomatoes would have been an uncommon ingredient in India in the 1500’s. 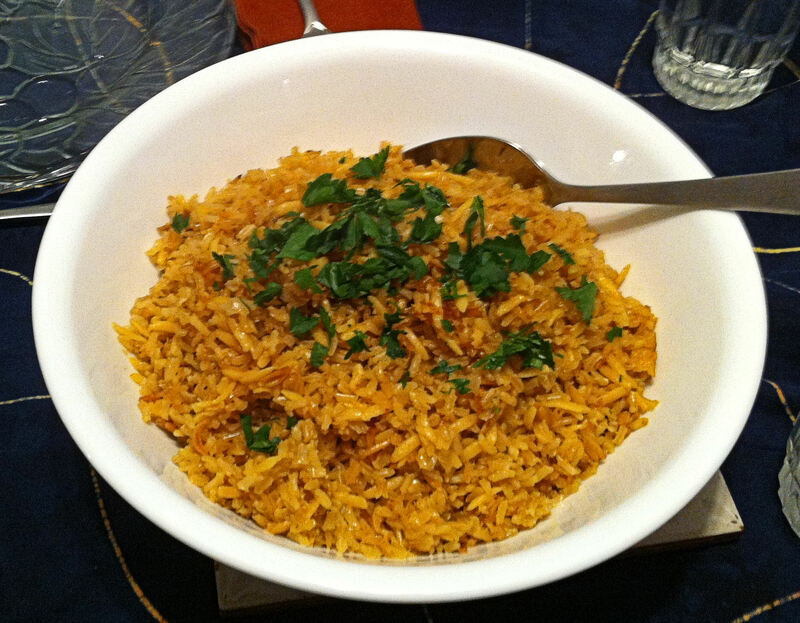 Picking ingredients from several recipes, I created my own pulao, using spices that would have been common in the 16th Century Mughal Empire. Usually when I make Greek lamb I make potatoes. In fact, it is a bit of a rut. To break the mold, I looked for a Greek rice side dish. Finding one that was close on Food.com, I adapted it to my personal style. Jan doesn’t like white rice, so I switched to brown. For my family there are never enough onions. And who can make a Greek dish without garlic and pepper? 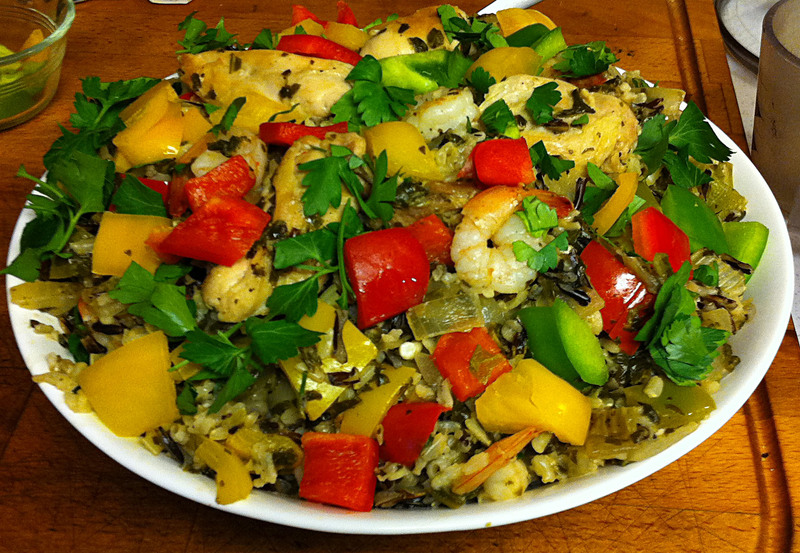 Most of the other dishes would be heavy on the herbs, so just a little parsley as an accent in flavor and color.